The scenario: You know where an ancestor died, yet are unable to find their burial place even after searching every cemetery in that locale. If indeed their body was shipped to another city, there should be a record -- Transportation of Corpse -- as in the case of Mr. Claus H. Meyer. 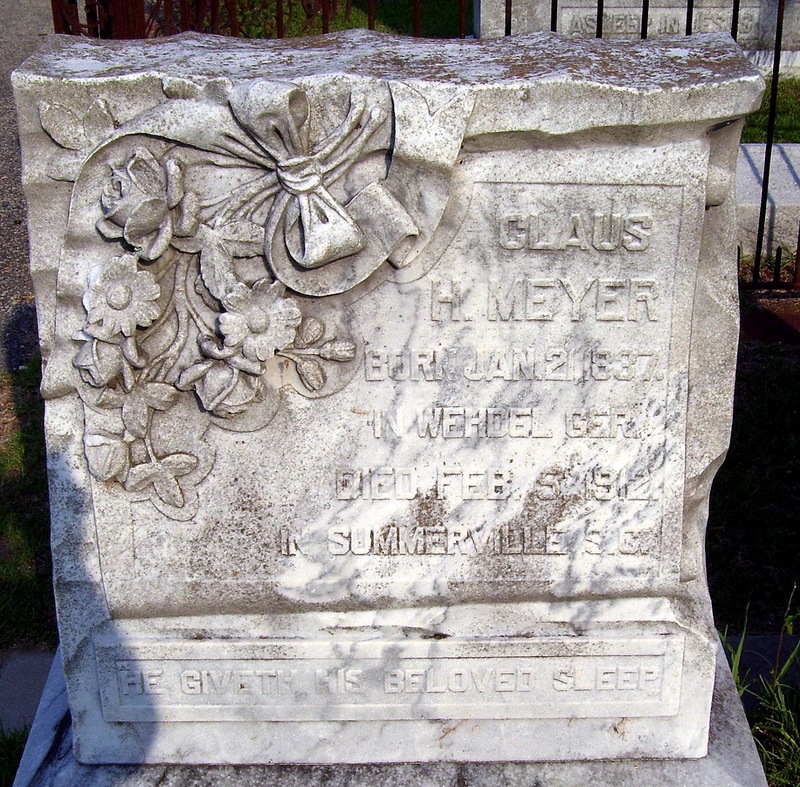 He died 5 February 1912 in Summerville, Dorchester County, South Carolina. 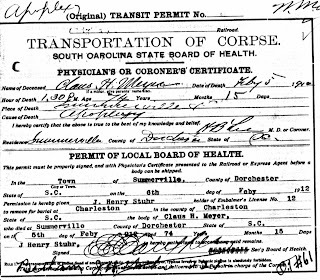 His body was transported about twenty miles (maybe a little more) to Charleston, Charleston County, South Carolina for burial in Bethany Cemetery. 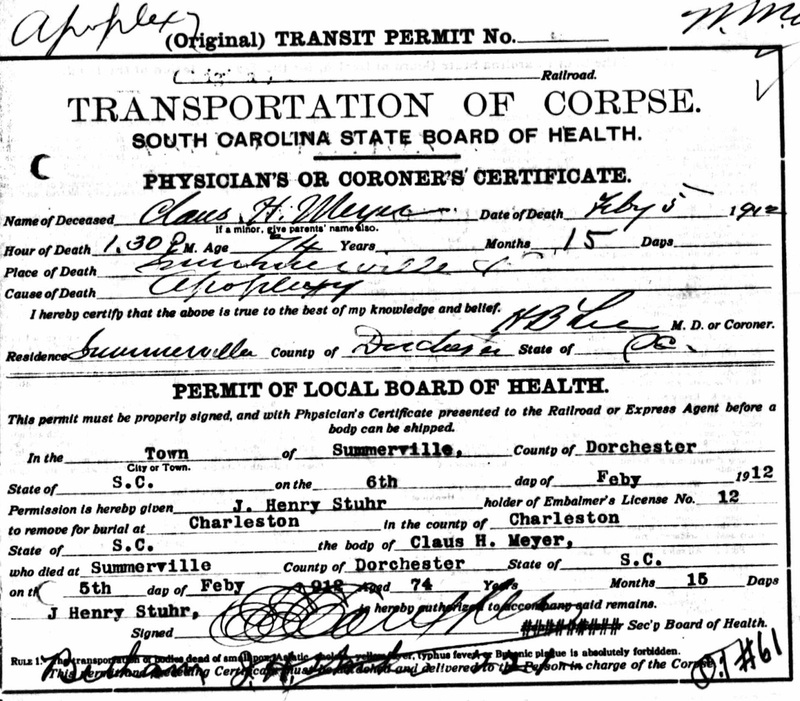 These records may be found at the local county level or at the funeral home that handled the burial.